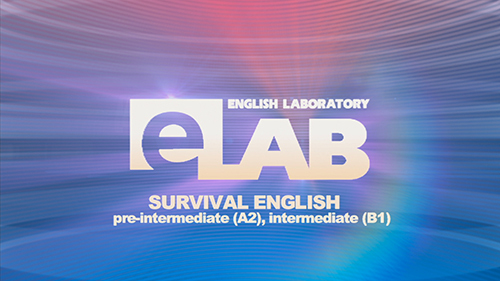 In this program Chris Shaw, the presenter of «Survival English», focuses on the type of English you would need during emergencies. To make his point, he pretends to be ill and explains to the viewers how to act in a situation when someone needs help. Apart from that, Chris invites an English teacher and a group of students. Standing in a circle around a huge screen, the young people watch educational videos related to emergency situations. All the difficult words are displayed on the screen. After the lesson students answer the questions related to the topic. Watching this program, you will improve your grammar and learn medical terms. Moreover, you will get to know, how to act during an unexpected event.